The Pinarello Dogma F8 Frameset follows on from the success of the Dogma 65.1 and its back-to-back Tour De France victories, World Championships and over 100 Pro Tour races. Pinarello has worked closely to optimise aerodynamics with Jaguar, collaboration from Team Sky and conducted wind tunnel testing in the PinarelloLAB to breed the Dogma F8. Pinarello have gone with an all new exclusive material for the Dogma F8, Torayca T1100 1k Dream Carbon with Nano-Alloy technology. With an outstanding stiffness to weight ratio and its use as the outer skin of many modern aircraft, it is sensational. 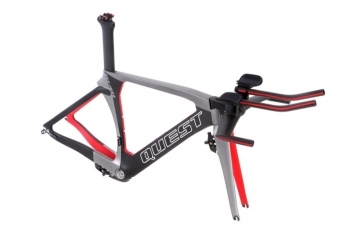 With the frame weighing in at 120g less than its 65.1 predecessor, but still retaining the same structural attributes. Pinarello capitalised on Jaguar's engineering expertise by using their CFD (Computational Fluid Dynamics) technology as well as the existing 65.1 Dogma as a guideline. Through this process with over 70 configurations of the frame and 300 CFD analysis cycles the most aerodynamically efficient frame was generated. Flatback is the name given to the new tube shaping which was used to eliminate the turbulence created. Sticking to the UCI limit of a 3:1 tube profile the overall aerodynamic efficiency was increased. It still rides as well as the original Dogma yet it now even stiffer. The fork is integrated into the tapered 1 1/8 to 1 1/2in head tube and the flatback downtube. Pinarello have chosen to stand by the threaded Italian bottom bracket it has used previously, due to their belief in its stiffness and reliability. The F8's asymmetric chainstays are combined with the new Onda RS F8 seatstays. Positioned to meet the seat tube lower down than on the 65.1, this hides the rear brake and the Twinforce integrated seat clamp. This increases the airflow past this section of the bike. The extensive CFD testing revealed that it was more aerodynamic to mount the seat tube bottle cage lower to reduce drag. 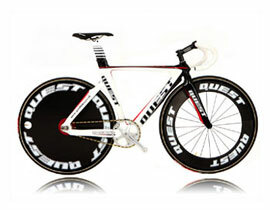 Based on this Pinarello have chosen to include three bolt holes on the seat tube to satisfy the needs of every rider. Attentively engineered internal cable routing allows the choice of mechanical or electronic gearing systems, without impacting on the bike's aerodynamics. Included are interchangeable frame stops at the entry and exit points on the frame that can be swapped throughout the frames lifetime should the rider choose to change between electronic and mechanical set-ups. The Carbon Air8 seatpost also houses the battery for both Shimano Di2 and Campagnolo EPS battery packs. The Pinarello Dogma is available in 13 different sizes. 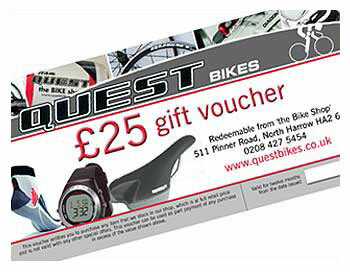 How do you improve on the super bike that is generally considered to be the most efficient, best balanced bike available? By studying the airflow over the bike to examine where it can be improved to increase efficiency. The Dogma 2 is the result. At first glance it looks similar to the Dogma, but upon closer examination you will notice the Onda 2 fork is now more integrated with the frame. By adding a tail to the fork at the crown and reshaping the downtube interface, the air flow has been smoothed out around the brake and fork crown. The ribbing around the headtube and top of the downtube has also been reduced to help with airflow. The new KOBH 60.1 frame was created in collaboration with Sky Pro Cycling team to confront the northern classics. 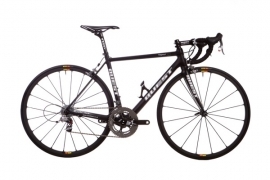 This brand new project exploits all the extraordinary technologies introduced with the DOGMA. The most important differences between the KOBH and DOGMA frame include the seat angle with an inclination of approx. one degree less, the reduced steering angle that varies from 0.5 to 1.5 degrees difference depending on frame size. The seat stay unit is slimmer, a special curvature was used for the stays, and the classic Onda monostay has been abandoned. The spaces for the wheel passage have been broadened in order to mount tyres of larger diameter in the event of difficult terrains. Lengthened pitch means less vertical stiffness and greater absorption capacity on bumpy stretches, though without affecting the characteristics of lateral stiffness of the bike essential for responding to sprints and shifting on curves, especially on paved stretches. New for 2010 this is our latest full carbon fibre race framset featuring smooth inner wall manufacturing technology to combine low weight with exceptional strength and stiffness. This frameset features all the newest developements in race frame design including: integrated seatpost, 11/4" oversized lower headset bearing, BB30 bottom bracket sytem and internal rear brake cable routing. Finished in metallic red and white. Sizes measured from centre of bottom bracket to top of uncut seat tube. The Montello's cutting edge carbon fibre monocoque frame is designed for time trials and track events. 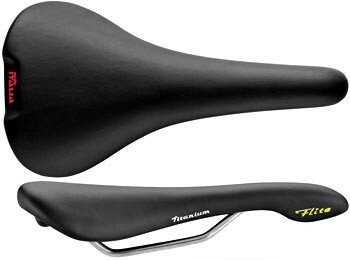 The one-piece main triangle offers world class performance across the entire range of frame sizes, with significant benefits for larger riders. The Montello complies with UCI regulations and weights only 1,390gm. 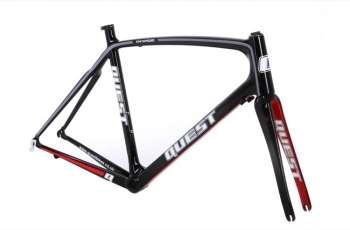 The frame is supplied with an integrated SHARK carbon aero fork. 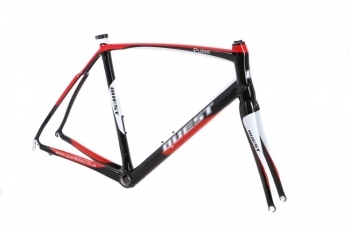 The FP5 frame is an evolution of the F4:13. The full carbon fiber monocoque frame features the ONDA fork and rear monostay that provide Pinarello's uniquely smooth ride and crisp handling. The MOst Croxover oversized bottom bracket stiffens that area preventing the loss of power that occurs in lesser frames. Made from 30HM12K carbon fiber, the F5 frame differs from the F4:13 only in the top layer of carbon. The 12K weave is much wider giving the frame a bold appearance. Pinarello FP6 frameset. 30HM3K carbonfibre with Onda FPK fornt fronks and Onda seat stays. 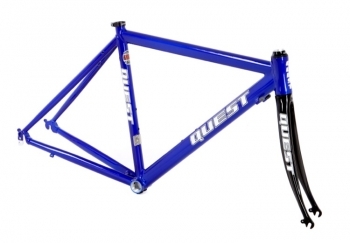 The frame set is supplied with headset and seat post.